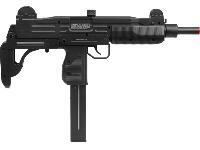 Carry a fully functional submachine gun for your airsoft skirmish! 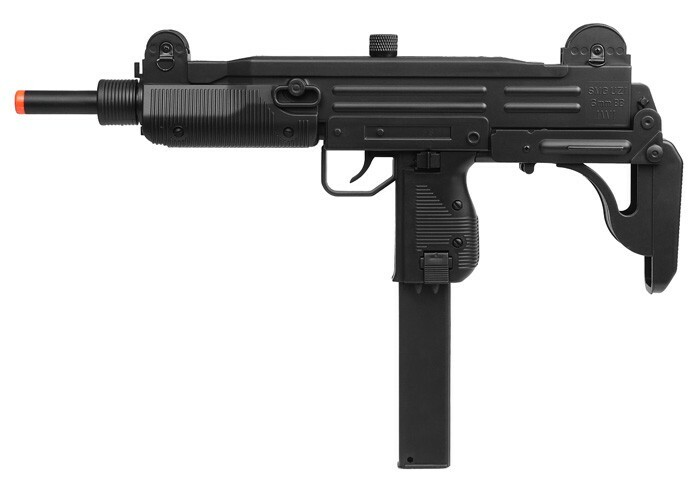 The UZI AEG Carbine SMG has you covered when it comes to full-auto airsoft mayhem. 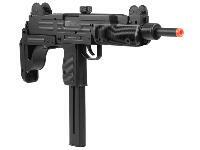 This SMG is a full scale replica of a real UZI and features authentic trademarks on the receiver. 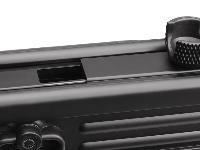 The light body weight of the gun offers you superb mobility in the field and the sling mounts give you an additional carrying option for extended airsoft play. 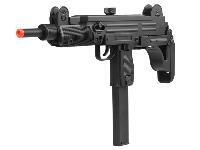 The gun features a built-in high capacity 250 rd magazine and has a shot velocity of 160-180 fps (using .12g BBs). The simplicity of this gun lends itself well to novice airsoft enthusiasts who are just getting into the sport as well as serious airsofters who need a reliable AEG to fill out their arsenal. Things I liked: Surprisingly realistic looking for a gun this inexpensive. Perfect for cosplay. 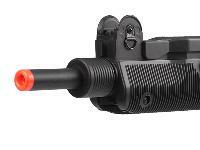 The orange tip is small and not as conspicuous as other similar airsoft guns. The safety catch works nicely as does the magazine catch. Things I would have changed: More metal parts, better internals, but I guess that would increase the price. I am not using it as an airsoft gun, but the internals appear very cheaply made. 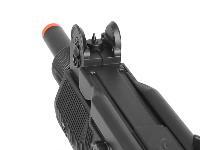 Also, it would be nice if the stock was set up to work properly and if the magazine held the pellets. What others should know: Another review mentioned that the stock is fake, so I was expecting to find it molded into the gun. However, it does work! There are just two small screws holding it in place. Remove these then carefully tease the plastic parts away from their housings. Be very careful, as the plastic could snap. Then partially file down the parts that lock in place until the stock comes away relatively (not too) easily. 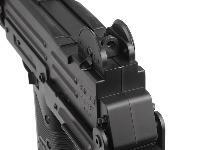 Now you have a working retractable stock. I assume they locked it in place because it has great potential to break if the user is not careful. 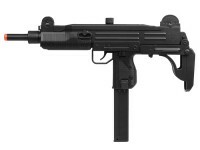 Things I liked: It is a good replica of an Uzi. Lightweight. Decent size. Comes with a battery and a charger. Things I would have changed: The way ammo is stored and fed into the gun. With the hopper on the top of the gun, can cause ammo feeding issues and not fire. a bit more metal. The design of the battery should be changed. When pulling the battery out (which is the fake magazine on the bottom of the gun) It would be very easy to pull the wires down and loose from the motor. 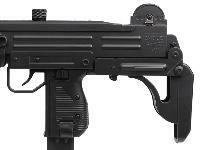 The plastic retractable stock is fake. What others should know: Not terrible but you will most likely encounter feeding issues with this gun. Being all plastic it is light and easy to use. 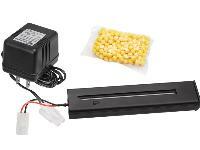 Be mindful when removing the battery so you do not pull the wires out of the motor. Just bought this item for Xmas present for my 13 yr old son. Knowing him, he will kill the battery quickly and have to wait for it to recharge. Is there a separate battery that is compatible with item, I have looked through the website and saw but not sure if it's the right one.